Following a massive breach of its computer systems on April 26th, Online deals website LivingSocial has sent emails to all of the affected 50 million customers. A spokesman said that the company is now working with the police in an investigation to assist in finding the perpetrators. 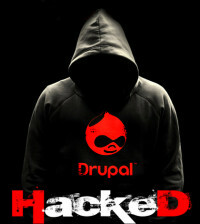 The company did not provide more information on how the hackers accessed their daily deals systems located at Washington DC to get emails, systems, passwords with encryption, and birth dates However, it noted that it was taking strict measures to restrict all its consumer data and algorithm, and was monitoring the consumer accounts heavily. 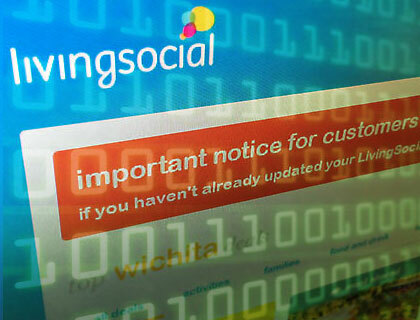 LivingSocial has also stated that none of its users’ credit card information has been hacked. According to a spokesman, the company stores its credit data to using a financial processing network, thus the entire number does not exist anywhere in their system. All in all, the hack comes as a major blow for LivingSocial, which is part owned by Amazon, and has over 50 million users who will now have to reset their passwords. 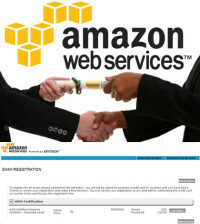 All the countries in which the company operates their services have been affected with the exception of Thailand, Indonesia, Korea, and the Philippines. This is because the company’s units Ensogo and Ticketmonster used in those countries were on a separate system. This is the latest in a series of big data breaches targeting the consumer internet space that has seen some high-profile companies hacked into recently, including LinkledIn, Zappos, and Evernote. The attacked couldn’t have come at a worse time for LivingSocial, as the company has been trying to turn its fortunes around following a downturn across the daily deals industry. The company recently acquired a large infusion of cash from investors aimed at assisting in stanching its losses and improve its services. 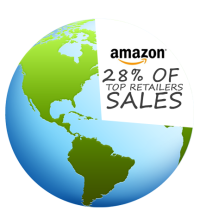 A 29 percent stake of the company is owned by Amazon.